I Knew I'd Forgotten Something! You'd think it's obvious, but on more than one occasion and distracted by excitement, it's happened. Thankfully, I usually carry a spare or two in my car if the worst happens. If you do forget these, you might be in luck as I often carry a spare or two. If you have arranged an estate loader they too usually carry them (but don't rely on it!). As above, it does happen. Again, I always have spares of 12 and 20 bore in my car. FIBRE WADS ONLY! You've hopefully put these on before getting to the meet point, but not if you've forgotten them after a 3 hour drive to your favourite shooting mecca the evening before. This is a tedious one when forgotten. All serve a really practical and comfortable purpose, and will irritate if left behind. Ear protection is standard nowadays, and it really ruins your day if you're used to it and you forget. Eye protection is almost compulsory on grouse moors, but still less common on game shoots than should be the case. Even a piece of falling shot can blind an eye, so I do advise safety glasses in the strongest possible terms at all times. I usually carry spare ear plugs, defenders and safety glasses, so no excuses! Another one often forgotten. High lace up boots are good on uneven ground or on a grouse moor, but wellies are reliable for just about everything else. Dog, Lead, Dog Bowl, Dog bed, Dog Food, Whistle, Tick Removers (always useful), and most importantly... Water! Now this one is critical. 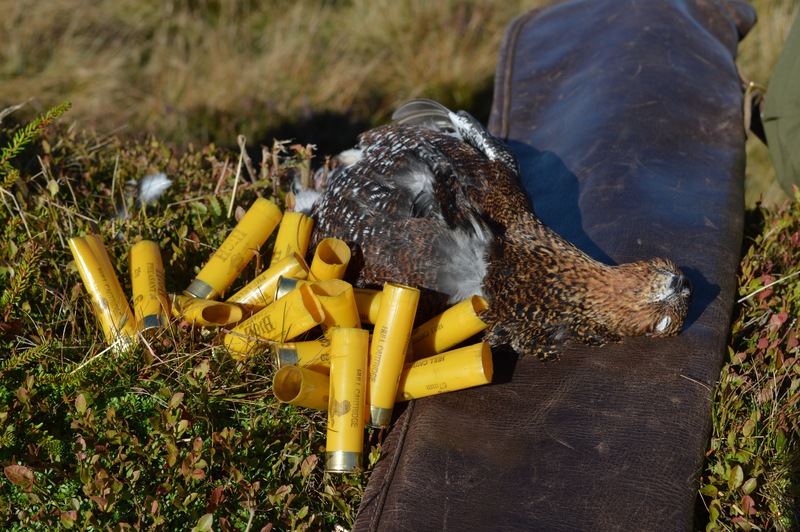 Don't set foot on a grouse moor without it to hand, and worth bearing in mind for a pheasant/partridge day too. Being eaten alive by mozzies totally can ruin your drive and day. Particularly Useful if you've endured a wet day in the field. Non one likes arriving home to a rusty gun.